This ancient technique is a deep massage which stretches tissues and muscles relieving tension and improving circulation.It can help migraine and headaches, and is regarded as a medium to strong massage as per the clients request. This technique is especially good for circulation, energy, rejuvenation, mental health, inflamed joints, muscle cramps and skin problems. The aroma of these hot oils are more beneficial. This massage stimulates the nerve supply to vital organs through key points providing balance and overall body well-being. It finishes with a massage to shoulders and head. Short massage is suitable for people who are busy and short on time, and those who take frequent massage for general well-being and suppleness. 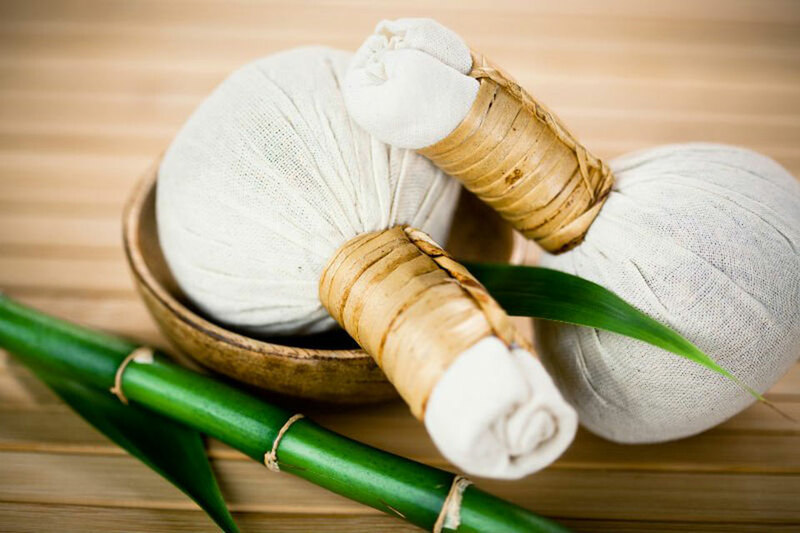 It improves circulation and concentration, focusing on problematic areas - back, neck, head and shoulders, headaches, migraines, muscle soreness, swelling, and cramps. Good for skin tone, reducing the effects of age and weather exposure. Skin scrub with face massage have been proven both effective and healthy. This particular technique is followed be head, neck, and shoulder massage while the face mask is taking effect. This massage is guaranteed to leave you feeling replenished, relaxed and radiant. Following any massage the sauna detoxifies the body and respiratory system. Steam infused with Thai herbs. This technique provides great relief from tension and stress. It relaxes patients from the stresses of work, relieves headaches, migraines and stiffness of the neck, shoulders, and back. This particular technique is good for skin and circulation.